Give your multimedia projects a warm, soothing vibe with this relaxing background music pack. 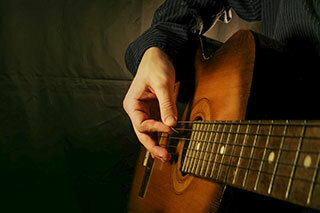 This download features plenty of acoustic guitar with happy, upbeat melodies. These tracks are ideal for documentaries, instructional videos, travel shows and pretty much any type of project that needs that friendly, acoustic quality. The soothing, earthy tone of the acoustic guitar, creates a sense of creativity and relaxation that everyone can identify with. Take a listen to the previews of these six acoustic tracks using the play buttons below. When you absolutely must have that acoustic sound track for your project, ‘Relaxing Background Music – Acoustic V1‘ is ready to put the finishing touches to your background music score. These six tracks were written and performed solely for the purposes of provided you with the ideal music bed for your multimedia projects. Most usage requirements covered in our standard royalty free music license and you can see a list of suggested uses in the side bar to the right. These 6 relaxing background music tracks feature instrumental acoustic music that you can just drop right into your latest project for the ideal musical score. Each song contains melodic elements with laid back grooves and unobtrusive song arrangements that work well under a voice over. 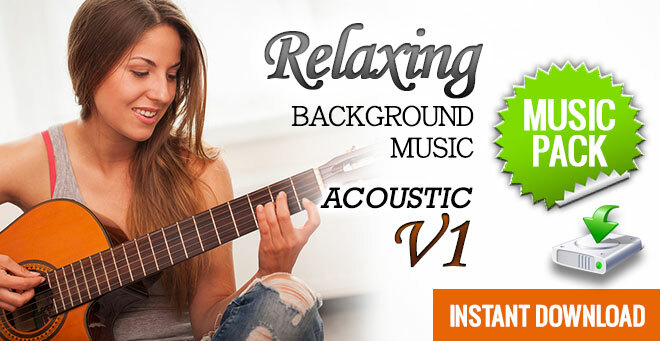 Download ‘Relaxing Background Music – Acoustic V1’ today and give your presentations the reassuring tone of the acoustic guitar.